Commanding villas with private pools! Inspirations! 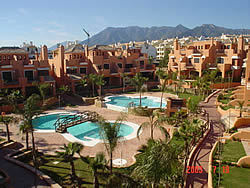 Marbella is a family run holiday, property and lifestyle management company specialising in providing the professional care of private accommodation, the personal assistance required from our 'lifestyle' clients and superb holiday rentals in Marbella, Puerto Banus and other areas of the Costa del Sol through our offices in Marbella and the UK. At Inspirations!, we can provide every conceivable requirement that you would expect from living or taking a holiday in one of the most affluent places in the world. 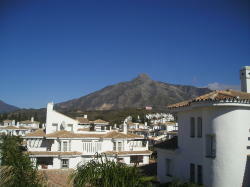 Whether it be the superb beaches of Marbella, the people-watching in Puerto Banus, the chilling-out in Orange Square or playing a round or two of golf on one of the numerous world-championship courses here, our town has something for all ages, personalities and budgets. Our dedicated, hardworking, hands-on, family team in Spain ensure that the accommodation provided is kept in peak condition and every assistance is provided in order for you to relax, enjoy and ultimately choose us again and again. to view all the listings, and remember, if we can be of any personal service, please do not hesitate to contact us at any time. See you in the port or Orange Square! Please note; all our prices are minimum.